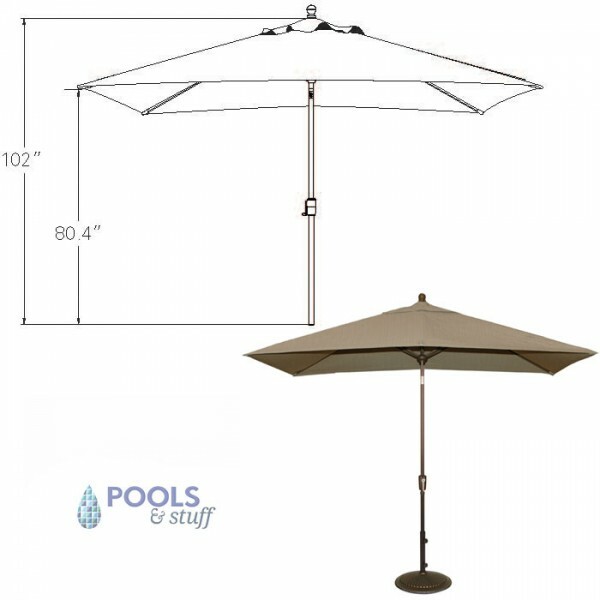 Our Adriatic rectangular autotilt market umbrella provides perfect shade area and ease of operation at an affordable price. 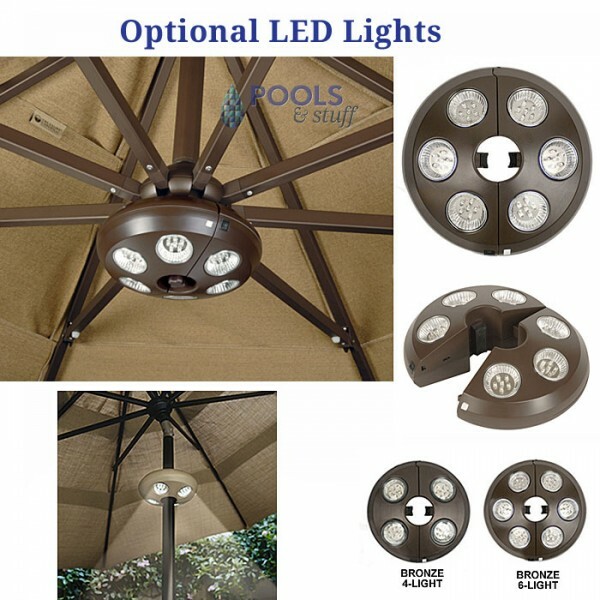 The strong aluminum pole has a convenient autotilt feature and an easy crank to open and close the umbrella. 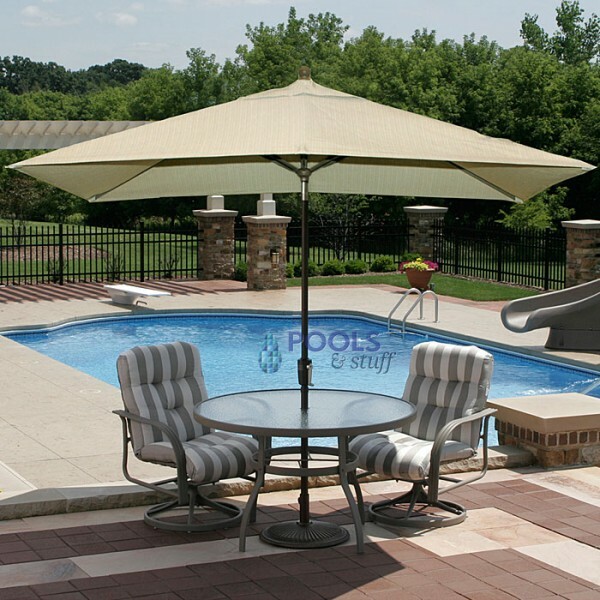 The high quality & modern styling make this umbrella a beautiful addition to your backyard pool or patio. The Adriatic’s 6-rib canopy features a single wind vent that permits air to escape and limits wind damage to the umbrella. 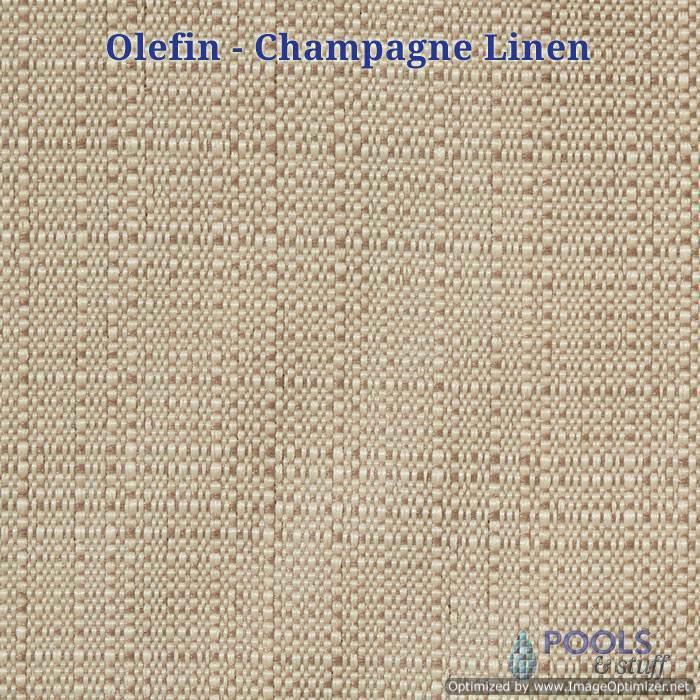 Available in Olefin fabric with a 30 month warranty. 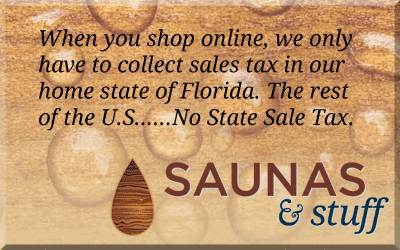 Our available 50 lb base is perfect for anchoring the umbrella. 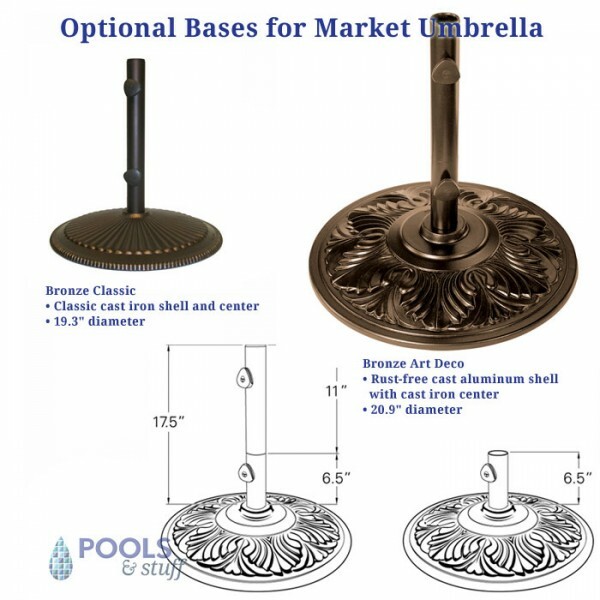 50 lb bases designed to keep your outdoor market umbrella upright and stable. 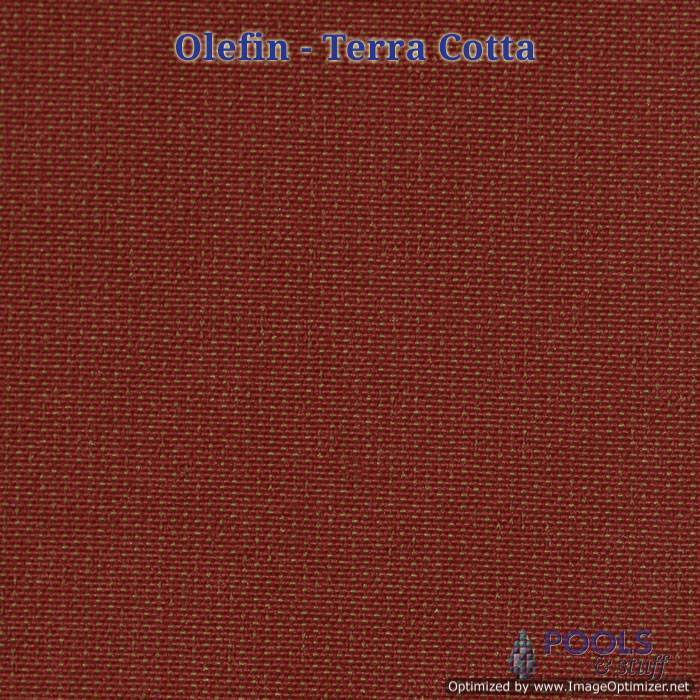 Perfect for patio tables or free-standing umbrellas. 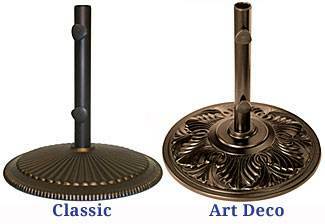 Come with a Dual Purpose Stem: full 11" stem for free-standing applications or 6.5" stem for thru-table applications. 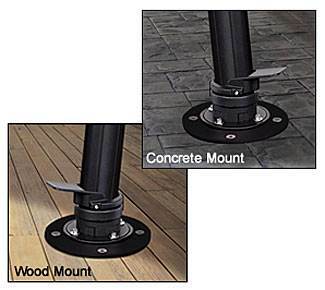 Stem fits poles up to 1.65" in diameter. Fully charged, the unit will provide light for upwards of 6 hours. Powered by LED lights that will last at least 30,000 hours. Includes AC adapter, removable battery pack with 3 - AA rechargeable Nickel Metal-Hydride batteries and charger. 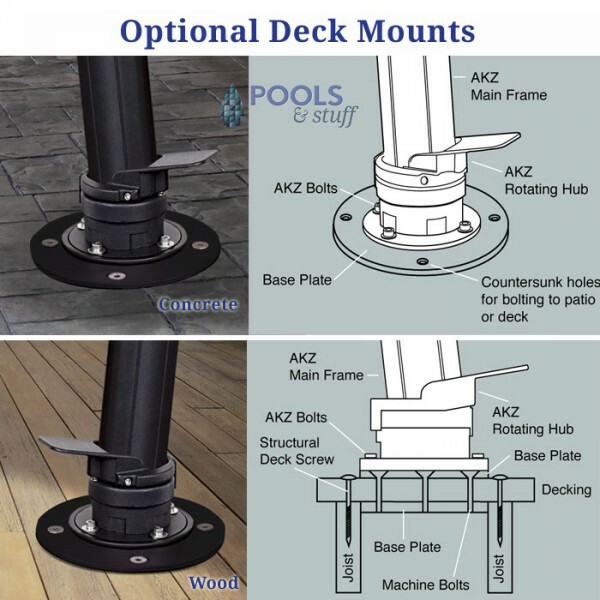 Cantilever Mounting Kits open a world of opportunities for locating your Santorini or Bimini cantilever umbrellas. 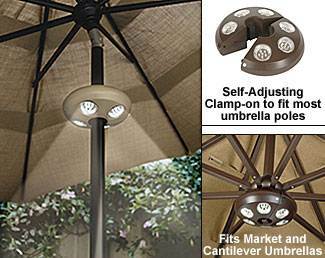 Eliminate the large, bulky base and mount your umbrella right to your patio or deck. 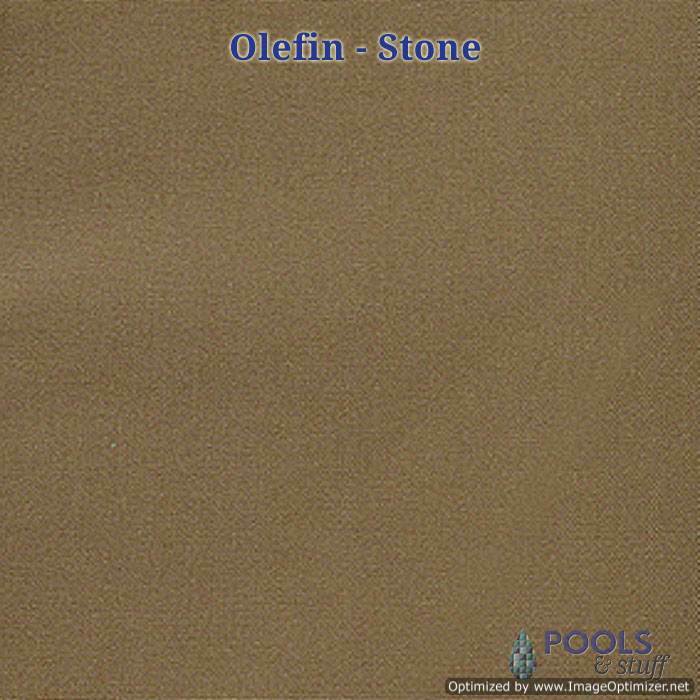 • More aesthetically pleasing than large plastic base • Allows you to locate umbrella post in small areas • Choose from concrete or wood. Our available 50 lb base is perfect for anchoring Catalina securely (sold separately).